We all are aware of the fact that emergencies can take place anytime. But, the most crucial aspect is how efficiently the emergency is managed. It is essential for a healthcare industry that they must prepare the plan for emergency management. Emergency management comes with a lot of issues and challenges. Healthcare industry also comes across several issues and problems while managing the emergencies. 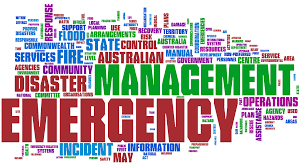 One of the primary steps for the emergency management is gathering the emergency information so that the preventive measures are prepared accordingly. While managing the emergency, healthcare has to face the issue of wrong information. It is significant that to overcome the issue healthcare must develop the team to identify the information that is appropriate. If the data is not correct, then forming the effective emergency management plan gets difficult for the healthcare industry. So, it is imperative that healthcare businesses should take appropriate care of this challenge as otherwise; the outcome can be more hazardous. Healthcare industry also faces this issue at times because the team identifies the overestimated resources. It is significant that the business must form the separate group for determining the resources so that they don’t go overestimated. Because of this challenge, it gets complicated to understand the use of resources while managing the emergency. After the identification of resources, it is vital to evaluate them so that there is no probability of making errors. It is a common issue in the emergencies for the healthcare industry, and it is essential that they should take appropriate measures to solve the problem. Most of the times, when the emergency situation occurs then the healthcare industry find difficult in estimating the number of people who are affected. Due to this issue, it becomes problematic for the industry to integrate the preventive measures at the time of emergency. To mitigate the problem, the team leader of the group should assign roles and responsibilities to the volunteers in an adequate way so that the estimation is easy. Healthcare business has to face this challenge as well while managing the emergency. When the emergency situation takes place, it is essential that the information from the field should reach the hospital immediately so that the preventive measures are ready. But as the information reaches the hospital late, so it becomes difficult for the team to get ready with the preventive measures instantly. This is again one of the main reasons that healthcare should always be prepared with the preventive measures in advance. If the hospital is ready, then that can take the immediate action and can manage the emergency efficiently. This is also a noteworthy challenge that healthcare industries come across. It is relevant that the roles and liabilities to the team members to manage the emergency are defined properly. If the roles and responsibilities are assigned inappropriately, then it can lead to inefficient management of the emergency. As the team management has to define the roles to every volunteer so this becomes the issue as it can go unclear. Emergency management for healthcare is not an easy task because it occurs without warning. It is essential for the healthcare to come up with the right strategies and plan to ensure that there are no issues while managing the emergency. Several issues and challenges are faced by healthcare hence some of them are illustrated above for enhanced comprehension. Checkout & Read also: How to quickly recover at home post-cardiac surgery?